JCPenney released its 2015 Black Friday Ad and announced that its doors will open for the annual Black Friday Sale at 3 p.m. on Thanksgiving Day. New Doorbuster offers will also be available that day beginning at 3 p.m. through Saturday, along with an instant savings coupon for $10 off $25 or more. For customers who prefer to get a head start on their shopping, JCPenney Black Friday prices will be available on jcp.com all day on Thanksgiving, with all orders over $49 receiving free shipping. Early Thanksgiving Day shoppers will be greeted with an envelope containing a coupon worth $10 off $10, $100 off $100 or $500 off a $500 or more purchase, while supplies last. These coupons are available for immediate redemption, giving some lucky customers the opportunity for a major shopping spree. 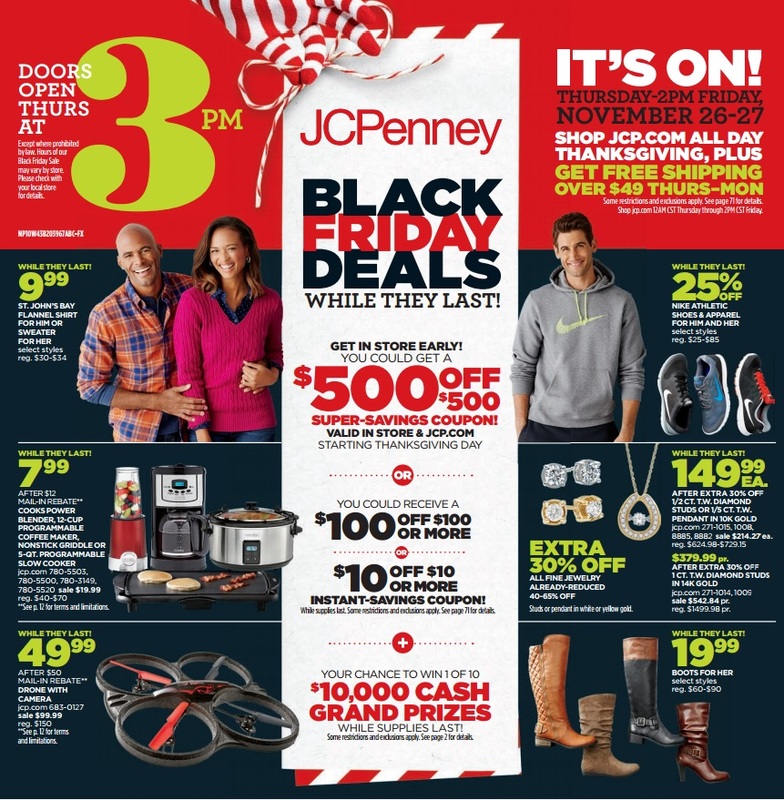 Additionally, each envelope includes a unique code that customers can use to enter the JCPenney Black Friday Sweepstakes at jcp.com/sweepstakes by November 30th, 2015 for a chance to win one of ten $10,000 cash grand prizes. 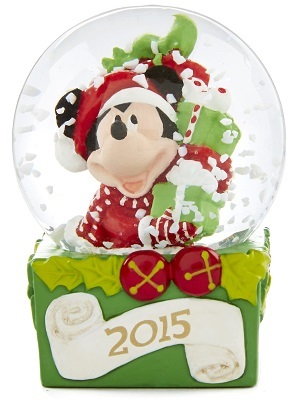 The giveaways continue on Black Friday when associates begin passing out free Disney snow globes starting at 3 p.m., while supplies last. An annual Black Friday shopping tradition at JCPenney since 2002, this will be the reatailer’s final year to offer its collectible Disney snow globe. Customers who spend $100 or more on gift cards from November 26th-28th will receive a $25 off $25 coupon.